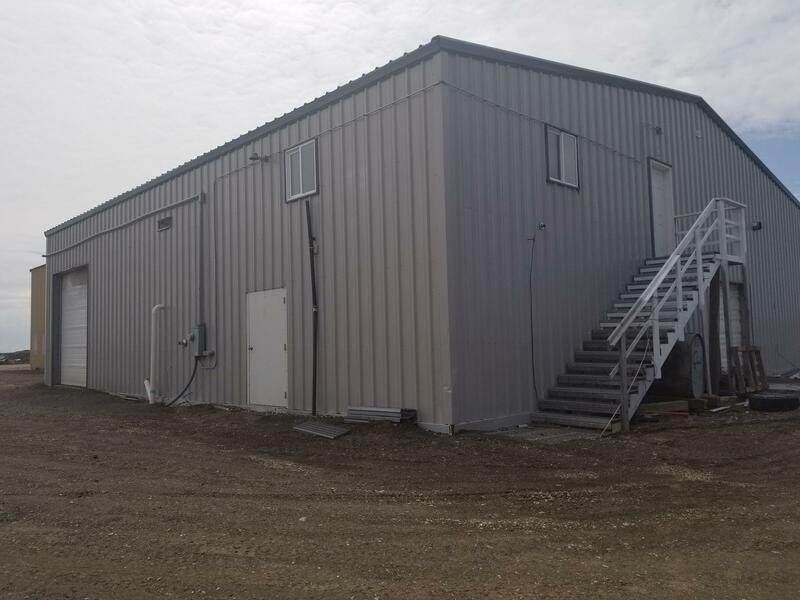 The Native Village of Port Heiden is opening up a new fish processing plant in hopes of extending the summer salmon season for local fishermen. Port Heiden hopes to have the Meshik Processing Center open sometime this summer. The Native Village of Port Heiden is working on starting a new business this summer in hopes of enabling local fisherment to extend their commercial salmon season and bring more money into the community. The Meshik Processing Center, once completed, will be the only fish processing plant in the village. Its aim is to allow fishermen to harvest Chinook and coho salmon locally before and after they fish for their regular processors during peak sockeye season. “Our guys fish in Ugashik,” said Maxine Christensen, who is currently overseeing the project. “They leave home for about a month every year. So if we can buy fish directly from them, once they get home from Ugashik they can fish longer. We can buy silvers from them or kings before they leave." In addition to employing fishermen, Meshik Processing Center will create about 10 new processing jobs. Christensen said most of the work will be done by hand, and the village will begin hiring for those jobs at the end of June. The village still needs to clear a few hurdles before the plant is fully operational. Christensen explained what is left: "a lot of finishing touches, actually—getting the plant ready, getting the ice machine going and making sure we have everything here we're going to need." Christensen is excited about the center because she said it will put Port Heiden on the map. She said, "You know, we're kind of a quiet town so it'd be pretty nice to have something we could say, you know, started in the middle of nowhere." The village anticipates opening the plant at the beginning of July, in time for this year’s silver run. Though, Christensen added that if the village does not meet that goal, the plan will certainly be open next year. Contact the author at mitch@kdlg.org or 907-842-5281.